Happy St Patrick’s Day to all you. 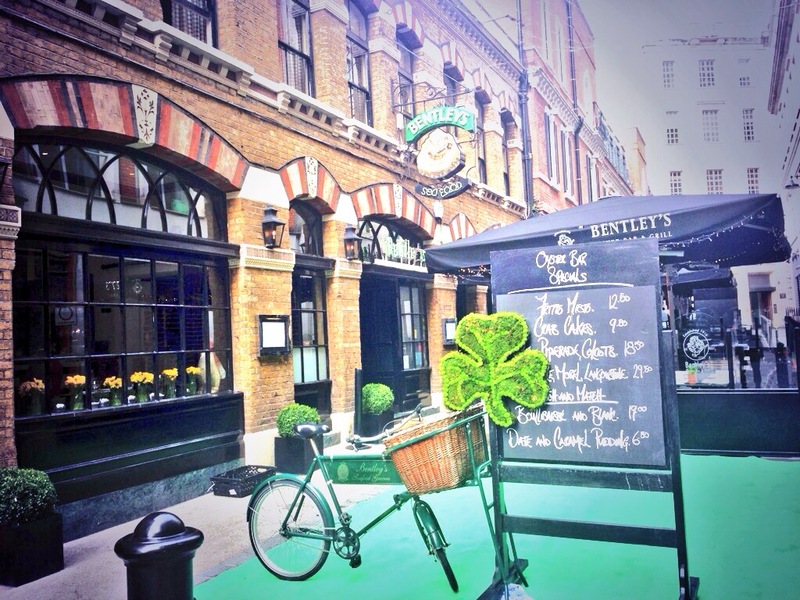 You may be interested to know that we celebrated St Patrick’s Day at the “LBDC” (“Lawyers’ Business Development Club”) by hosting a special event for London’s most influential General Counsel. This exclusive event, by invitation only, took place in the private-dining room at Richard Corrigan’s Bentley’s Oyster Bar and Grill in Mayfair, London. Our event was very kindly sponsored by Invest Northern Ireland. Our wonderful guest speakers were Kingsley Aikins CBE (CEO of Diaspora Matters) and Dr Dimitrios Tsivrikos (an established academic and practitioner in business and consumer psychology at the University College London). You may be interested to read some comments/feedback from our General Counsel (GC) guests who attended our St Patrick’s Day event this morning. “Kingsley Aikins CBE is the founder and CEO of Diaspora Matters, a Dublin based consultancy company that advises countries, cities, regions, companies and organisations on how to develop strategies to connect with their Diasporas. He is a recognised expert on Networking and has written and spoken extensively on the topic and has run workshops and Networking Training Programmes for Google, Linkedin, Accenture, Intel, PwC and a number of the leading law firms in Dublin. In his career he worked for 10 years for the Irish Trade Board and IDA Ireland and was based in Sydney. He then led the Ireland Funds for 21 years, mostly based in Boston. In his time with the Funds over a quarter of a billion dollars was raised for projects in Ireland. He represented Trinity College, Irish Universities, Vichy (France) and Leinster at rugby. He was awarded a CBE for his work on Irish- British issues. Dr Dimitrios Tsivrikos is an established academic and practitioner in business and consumer psychology at the University College London (UCL). Dimitrios’ research, teaching and consultancy work focuses in retail marketing, brand communications and behavioural change. As a chartered psychologist he has designed and directed numerous innovative research projects to unveil consumers’ behavioural patterns and uncover customer retail experiences related to advertising, on-line & in-store promotions and packaging preferences. In his capacity as a behavioural scientist Dimitrios was commissioned by various corporations, such as Barclay’s, Commercial Bank of Qatar, Deutsche Bank, and FRAE; and offered business solutions that revolutionised customer relations, retail marketing, branding strategies, and in store atmospherics effectiveness. Throughout his academic career he has held a number of international research fellowships, and has published widely on psychology and business oriented subjects, with articles appearing in various academic periodicals and in a number of FMCG, fashion, and marketing industry reports. Finally, Dimitrios is a leading broadcaster on consumer behaviour/psychology and a frequent guest on the BBC, SKY NEWS, Channel 4 as well as acting as a scientific consultant in various periodicals such as Property Week, Esquire, The Guardian and The Sunday Times. My thanks to Karena Vaughan (Director of Europe) and Julie-Ann Brace (Business Development Director) at Invest Northern Ireland for sponsoring this exclusive LBDC event. If you are a General Counsel and would like to attend our next “LBDC” GC (only) event, please get in touch. It would be great to hear from you and I would be happy to extend an invitation to you to our future events. This Thursday, RICHARD HYTNER (Deputy Chairman Worldwide, Saatchi & Saatchi) will be our guest speaker at the LBDC in London. Our event will be open to all lawyers (from both private practice and in-house) and will be free to attend. Please email me if you would like me to keep you a place. I look forward to hearing from you and to seeing you at a future LBDC event. Have a great St Patrick’s Day.